Christmas is the most awaited period of the year by adults and children, Venice makes the event even more magical! The Municipal Government this year decided to promote concerts, events, shows and flea markets throughout the territory of the historical centre but also in the Islands and on the Mainland. Throughout December and January, along streets and squares you can stroll surrounded by illuminations, admiring the decorated Windows. In particular, in campo San Moisé and Calle Larga XXII March, the facades will become rich surfaces of messages and words, thanks to bright tribute by the artist Marco Nereo Rotelli. In addition, the musicians of the Orchestra of La Fenice Theater will appear suddenly for small outdoor concerts and performances, a gift of the theatre to get citizens and tourists closer to the art of music. 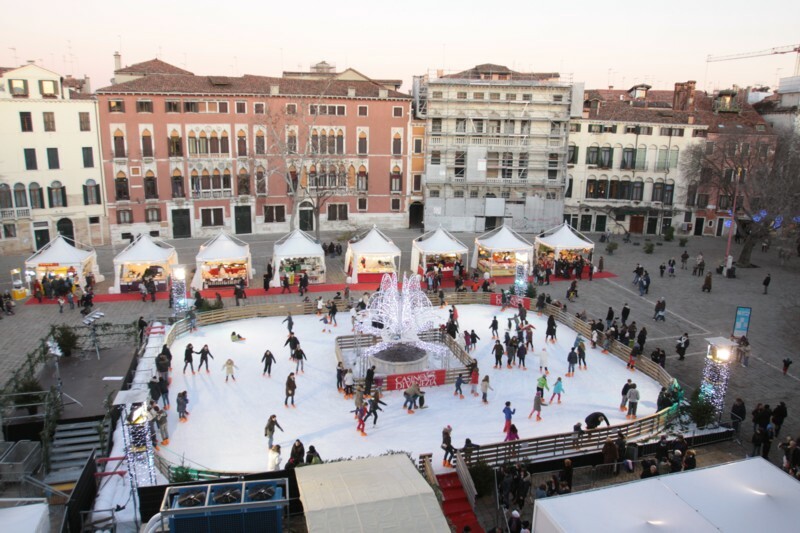 For children are planned performances at the Teatro Goldoni, workshops and events, not to mention the incredible ice skating rink in Campo San Polo, where adults and children can flit surrounded by a typical Venetian landscape! 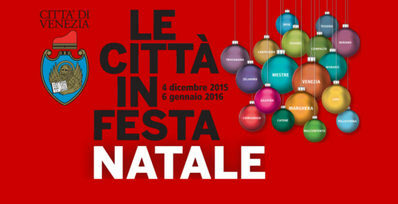 And for lovers of markets, from 15 to 23 December you can buy gifts and handicrafts to the Gardens of Castello. If you want to spend in the city the last day of the year, all museums are open and, if you don't like dinners and Galas, or if you do not wish to attend the concert at the Fenice, you can always join the party in St Mark's square and admire the incomparable fireworks in the basin.